Za-Non was a college student studying architecture in Ohio when he began experiencing frequent headaches. One especially severe headache sent Za-Non to the emergency room, where he was shocked to learn that he had high blood pressure and was in kidney failure. Za-Non was immediately admitted to the hospital and received blood transfusions to save his life. 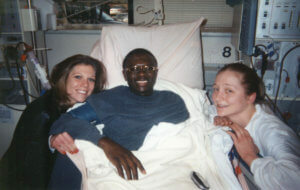 Two months later, he was finally discharged from the hospital, but required dialysis treatments thee times a week. Despite his dire condition, Za-Non was determined to accomplish his goal of graduating from college. 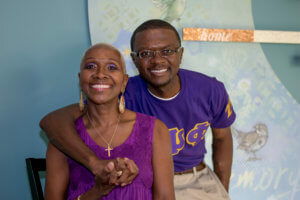 Za-Non’s mom, Charmaine, helped him to achieve that when she donated one of her kidneys to him. With renewed health, Za-Non completed his studies and received his architecture degree that fall. Unfortunately, eight years later, recurring issues with his new kidney required Za-Non to return to dialysis and be placed on the national transplant waiting list for a second kidney transplant. Rather than simply wait, Za-Non took action in an effort to support others waiting for organs. 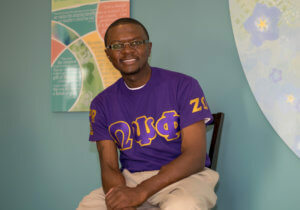 He used his fraternal affiliation with Omega Psi Fraternity to spread the word about the importance of donation. Za-Non also shared his story at numerous public-speaking events, educating the multicultural community about the need for more registered organ, eye and tissue donors. Za-Non has received his second kidney transplant and is healthy once again. Excited about his future, Za-Non is forever grateful for his donor’s lifesaving gift.